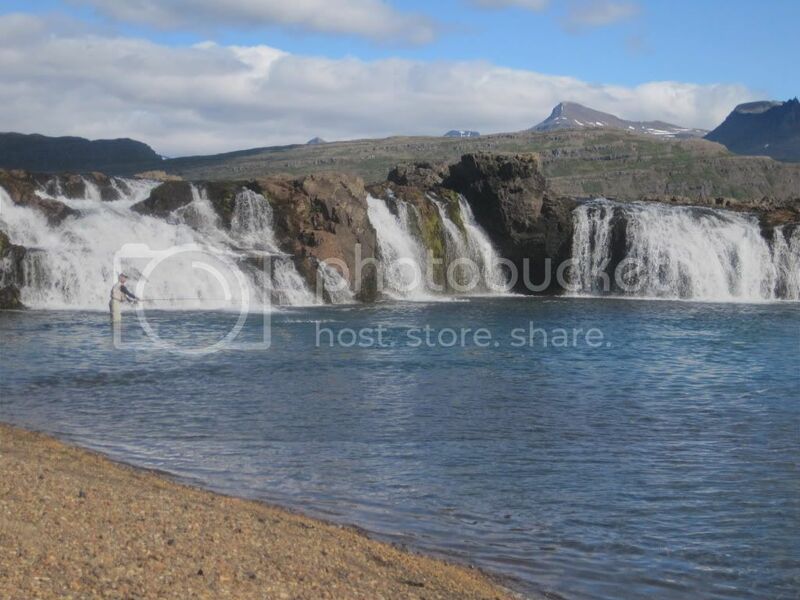 Here are some photos from my recent trip to the Breidalsa river in East Iceland. Probably the most stunning river valley I've ever fished in, and the river is wonderfully varied; nice streamy water in the lower beats (a bit like the upper Dee); rocky canyons and falls pools on the upper beats, which are intriguing but very tricky to fish (lots of stalking of fish you can see in the crystal water). The guides and accommodation in the lodge are great too. 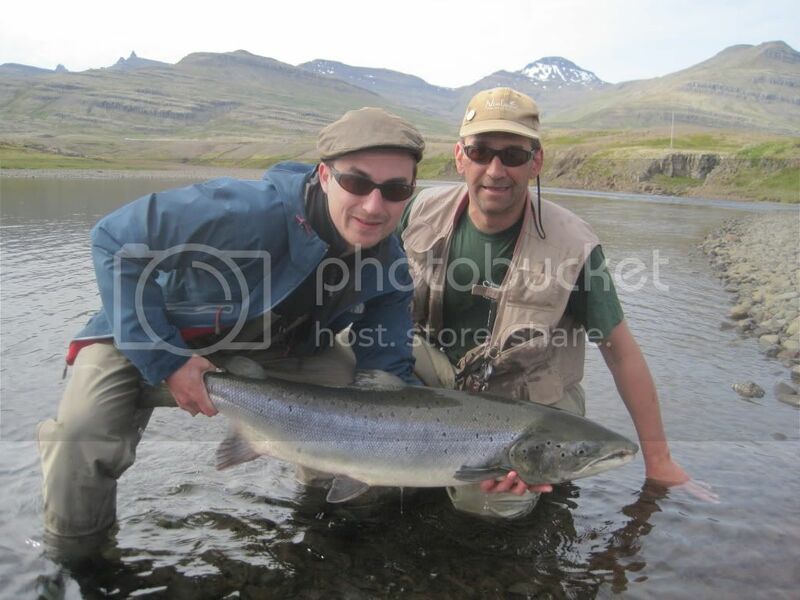 I caught my biggest ever salmon at 24.5 lbs (11kg) in the penultimate day, caught on an Iceland pattern called a Blue Eda. 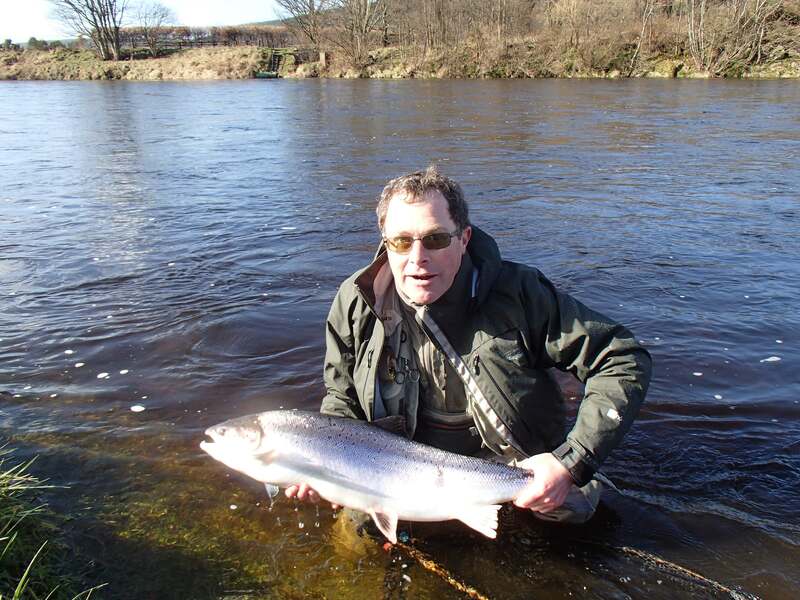 It was a bit too early and the water too low for big numbers of fish. 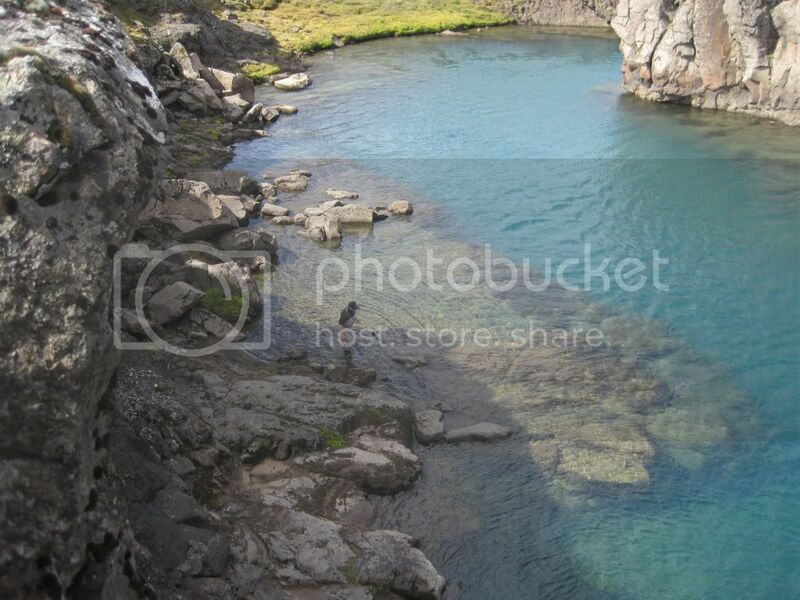 I also lost one in the canyon, fishing from about 40 foot high - the fish cartwheeling across the pool while I scrambled to try to get to lower ground and not fall off the edge was a memorable experience! wow. great pics. i see what you mean about the water clarity! well done on the fish. 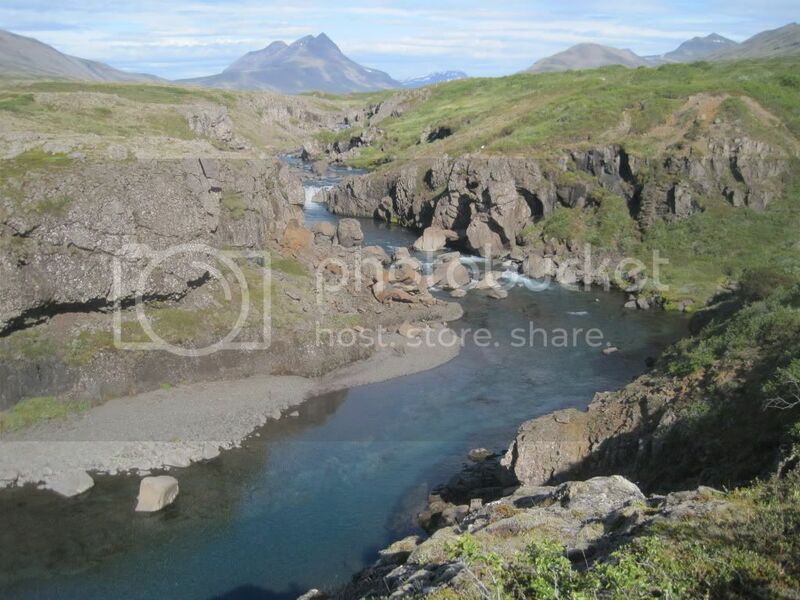 Great photo's...every time i see pictures of Icelandic rivers i always think there is a lack of flow...they must be very deceiving. 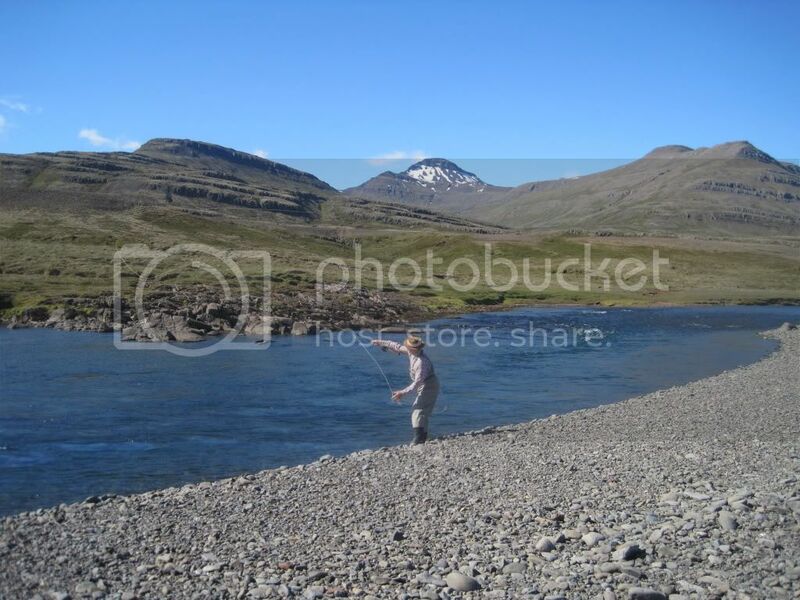 Well done, that looks like a fantantic river to fish. 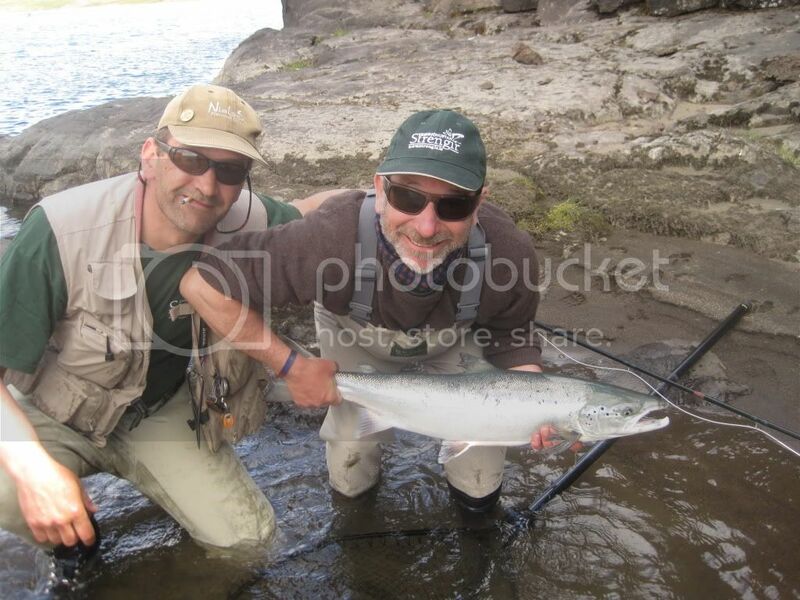 Nice fish and great pics, looks a fantastic venue.